The news is coming faster each day with companies sharing what they will be displaying at IBC2018, September 14-18. 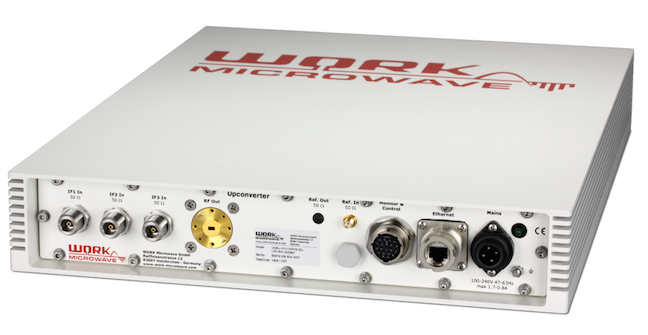 WORK Microwave, a satellite technology provider with an end-to-end solution for wideband applications, will provide a live demonstration of its new AX-80 modem, which is now shipping worldwide. WORK Microwave will be at Stand 1.C51. 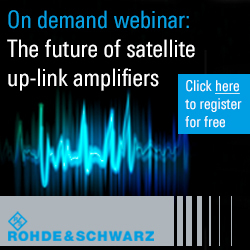 As today's satellite operators look to deliver higher quality broadcast and high-speed broadband offerings over constrained networks, the need for flexible, scalable and future-proof satcom solutions is even more important, and WORK provides solutions. WORK Microwave will demonstrate the first functional wideband modem that supports the DVB-S2X standard, with 500 Msps bi-directional throughput. During a live demo, attendees can see the spectrum output and high-quality signal transmission enabled by the AX-80 modem. Integrated with 10G Ethernet interfaces, the modem supports full throughput with 256APSK and 3 Gbps per direction, without any compromises or tradeoffs. Using this next-gen device, operators can optimize the use of high-speed, IP-based broadcast and broadband access in future Ka-band or Q/V band satellite systems with wideband transponders. The modem is built using a flexible software-defined radio (SDR) architecture, that enables user-defined data processing for a wide range of applications and customized solutions. Featuring an all-IP structure, the AX-80 platform supports native network operation as well as data streaming over IP, providing satellite operators with the flexibility that is critical in a fast-changing connected world. The AX-80 is an end-to-end wideband transmit and receive solution, which includes a modulator and demodulator in a single unit. While other wideband solutions are available on the market, most are prototypes. WORK Microwave's AX-80 is fully functioning and now shipping worldwide. WORK Microwave will demonstrate its 3-channel, V-band block upconverter at IBC2018. Offering support for higher frequencies, between 47.2 and 51.4 GHz, this innovative solution optimizes the use of Ultra High Throughput Satellites (UHTS). The V-band upconverter is perfect for early laboratory testing and has already been requested by global satellite operators to support secure, high-performance communications projects. Relying on the V-band spectrum, satellite operators can expand their capacity to keep pace with the communications requirements fuelled by bandwidth-intensive broadcast and data services. WORK Microwave's RSCC-X compact N+1 redundancy switch enables hot standby redundancy for up to eight modems or converters. The redundancy switching system monitors the health of the protected units and, in case of an alarm, copies the failed unit's configuration to the redundant unit, automatically replacing the faulty unit's functions with the spare (+1) unit. The license-based switch supports 1+1 up to 8 + 1, making it easy for operators to scale up the system as its requirements grow in the future. When used in combination with the flexible ISM-8 switchbox, operators can effectively switch and monitor input and output signals. 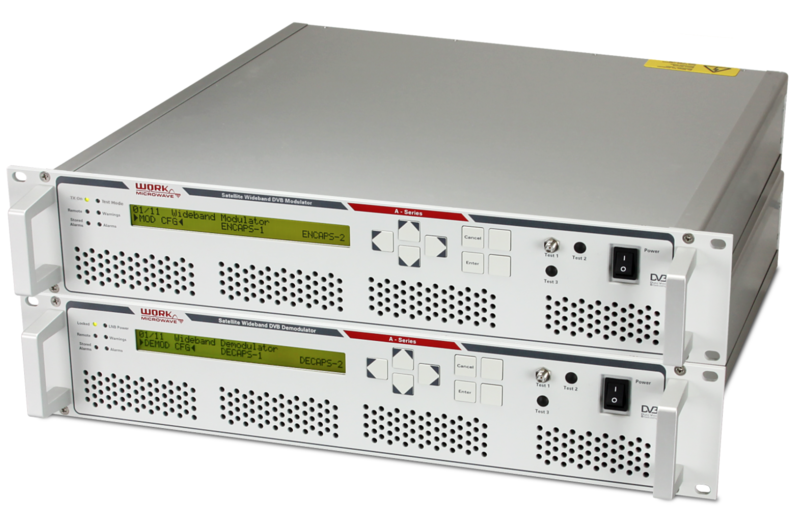 Until recently, this N:1 redundancy system only supported converters; now it has been enhanced to support WORK Microwave's digital solutions, including modulators and modems. Headquartered in Holzkirchen (near Munich), Germany, and comprised of four operating divisions — Satellite Communication, Navigation Simulators, Defence Electronics, and Sensors and Measurement — WORK Microwave leverages over 30 years of experience to anticipate market needs and apply an innovative and creative approach to the development of frequency converters, DVB-S2/S2X equipment, and other digital signal processing technologies while maintaining the highest standards for quality, reliability, and performance.